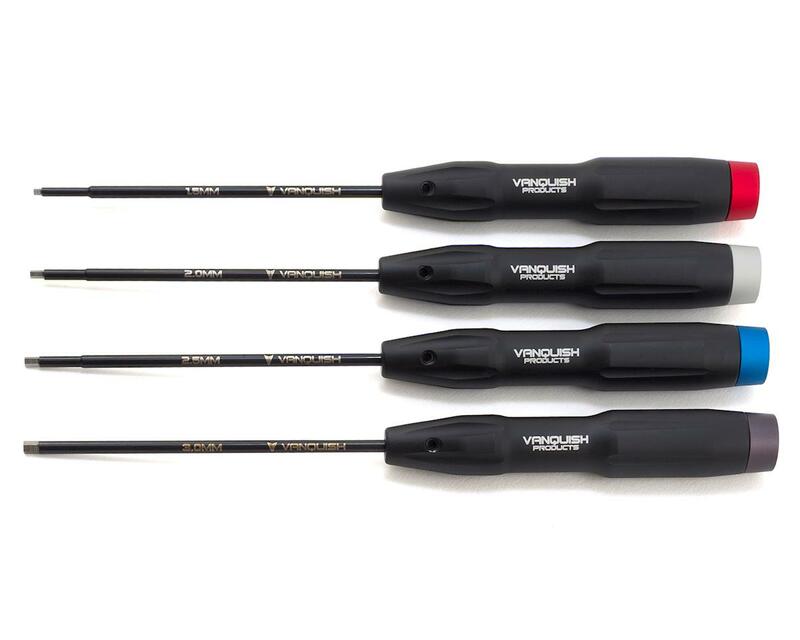 The Vanquish Metric Hex Driver Tool Set features machined aluminum handles and a bearing supported end cap to make long wrenching sessions with hand tools more comfortable. Each cap is anodized with a different color for quick visual identification, while the handles have been fluted to provide the grip you need and remain comfortable during extended use. 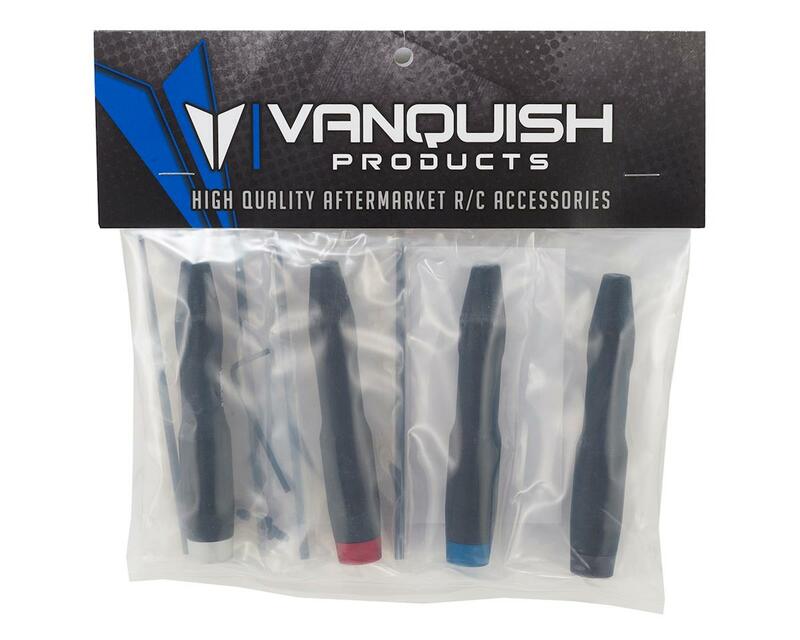 The tips are precision ground tool steel, plated and laser etched with the Vanquish Products logo and tool tip size.